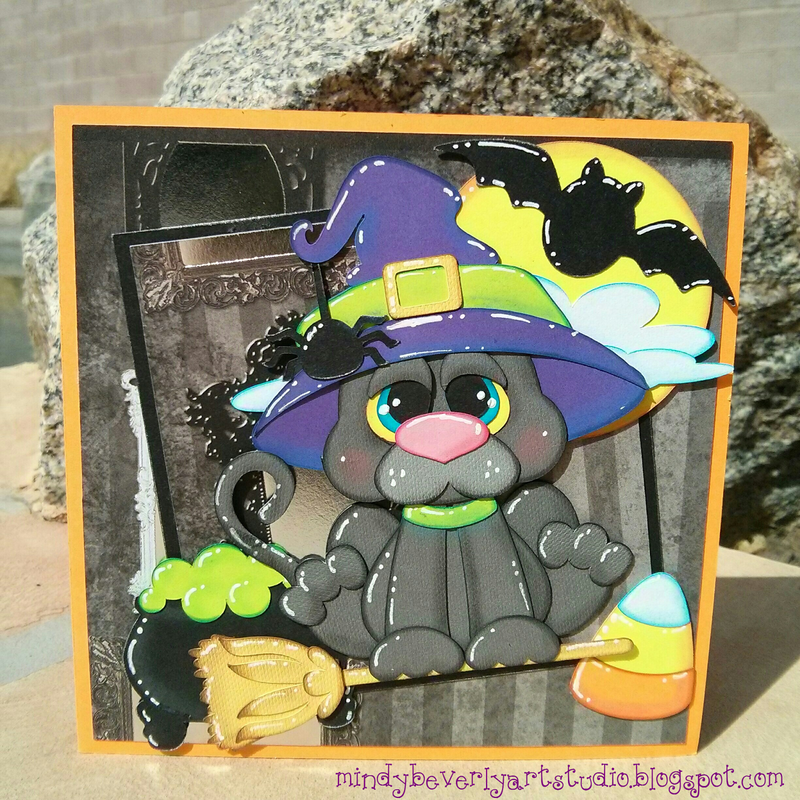 To create my card first I cut my card base, frames and mats in plain and patterned card stock. 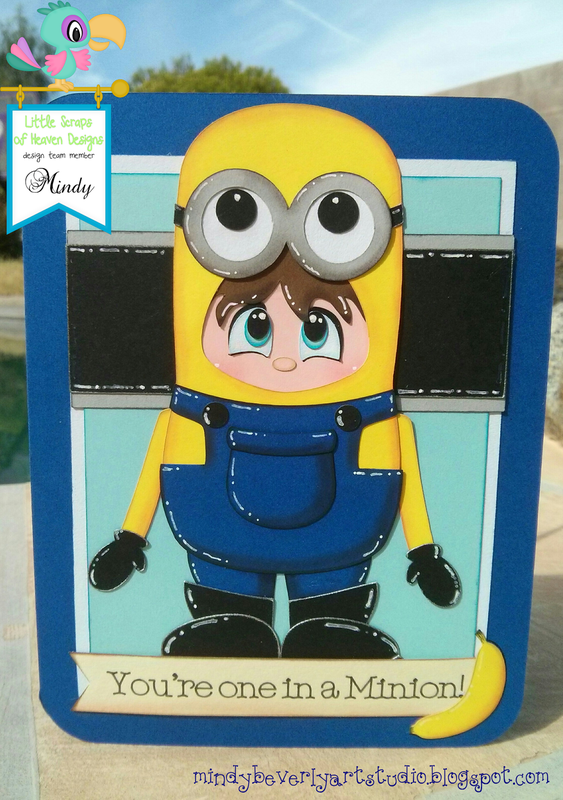 Next I sized my image in Design Space to the perfect height for my card. Next I cut out all of the pattern pieces with my Explore. After that I inked and chalked all of the little paper edges to add dimension. Next I assembled everything and attached it to my card base. To finish I added all of the highlights with a white paint pen. Thank you so much for stopping by! I hope that you have a wonderful day! First I created the box card base in Design Space using basic shapes. 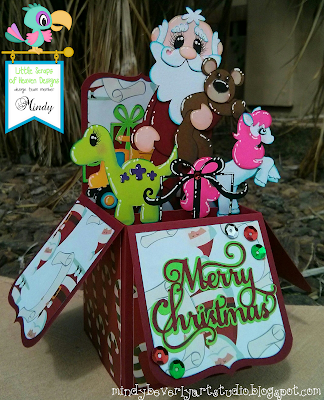 I then uploaded the Santa's Toys pattern and sized the images to fit perfectly inside my box card. I then cut out all of the pattern pieces and inked and chalked all of the paper edges. Next I assembled my box card and then attached all of my completed pattern pieces to the card starting with the background layer and then working my way up to the front layer completing my scene as I went. To finish I added all of my highlights with a white paint pen and then added some sequins for some extra sparkle. Thank you so very much for stopping by! I hope that you have a wonderful day! 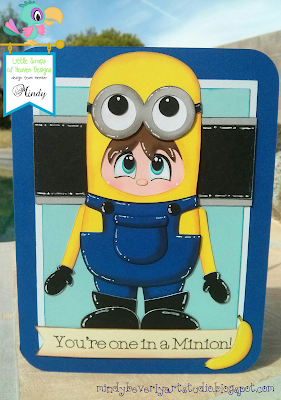 To create my card first I cut out my frames and card base to match the current LSHD sketch. Next I uploaded the Bear with Christmas Light pattern into Design Space and sized the bear to my desired height. Next I created a small frame and attached my text to it so that my Cricut could write the sentiment and then cut it out. I then cut out all of my pattern pieces and then inked and chalked all of the little paper edges. After that I assembled the paper pieces and attached them to my card. To finish I added all of the highlights with a white paint pen. Thank you so very much for stopping by! I hope that you have a wonderful evening! To create my tag first I uploaded the patterns into design space. I then cut out all of the pieces for the flamingo and tag base in plan card stock and watercolor paper. For the multicolored background tag layer I first wet the entire paper piece. I then dropped in the following watercolor shades while the tag piece was still damp: Opera Rose, Turquoise, and Yellow Green. To get the extra texture I placed a small piece of crinkled plastic wrap on top of the wet watercolor tag piece and then set a book on top of it until dry. I then inked, chalked, and assembled all of the paper pieces. Next I wrapped some glitter ribbon around the green accent piece and layered and attached everything to my tag base. After that I stamped my sentiment with a stamp from Pink and Main. Next I added sequins and then tied ribbon in various colors to the top of my tag. 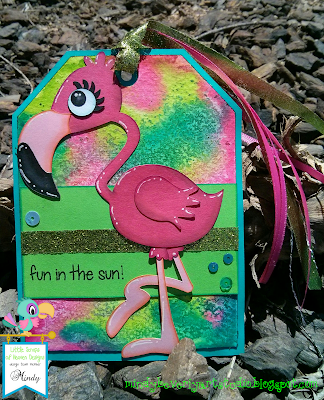 To finish I added all of the highlights on my Flamingo with a white paint pen. Thank you so much for stopping by! Have a wonderful day! 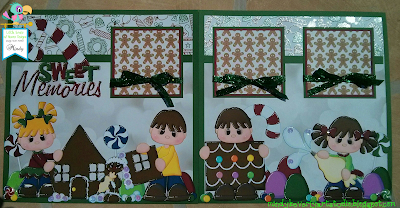 To make this card I ended up combining two different files: Building Christmas Memories, and Christmas Candy Gingers. 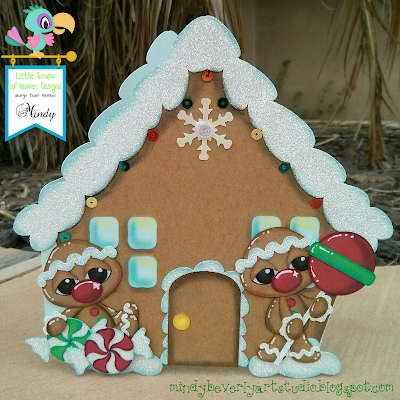 First I made the gingerbread house shaped card. To create the shaped card I used the gingerbread house front and welded some of the frosting pattern pieces together in Design Space to create the frosted roof. I then layered all of the house pieces together and grouped them. Next I made a copy of my group and then layered two squares over the window holes and then welded the entire image together to create a solid house shaped base. Next I duplicated my welded house and then mirrored it. I then put both halves together, welded them, and attached a score line to finish making my card base. After that I selected both of the gingerbread images and sized them to my desired height for the card. I then cut out all of the pattern pieces with my Explore. Next I inked and chalked all of the little paper edges to create dimension. After that I assembled everything and attached all the pattern pieces to my card base. To finish I added all of the highlights with a white paint pen, and then glued on some sequins for an extra sparkle. Thank you so very much for stopping by! Have a wonderful evening! To create my layout I ended up combining two different files: Building Christmas Memories, and Snowball Gingers. First I cut my mats and frames and attached them to my layout. I also tied a green glitter ribbon around the small mats to accent my pictures. I then sized the pattern pieces in Design Space and cut them out with my Explore. After that I inked and chalked all of the little paper edges, and then assembled them. To complete my layout I attached all of my characters to the layout, added the highlights with a white paint pen, and added sequins in various colors to add a bit of sparkle! I hope that you enjoy my layout! Thank you so much for stopping by and have a wonderful day! 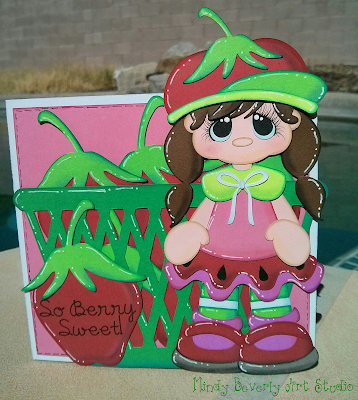 To create this cake topper, first I decided what size I wanted my image to be on the cake. Then I uploaded the pattern into Design Space and sized my image to my desired height. Next I selected one of the flourishes and copied the image and then selected mirror image so that I could use the flourishes to frame the fairy. I then cut out all the pattern pieces with my Explore in glitter and plain card stock. After that I inked, chalked and assembled all of the little paper pieces. Finally I attached my final paper piecing to white cake pop sticks with hot glue and placed my finished topper on the cake. 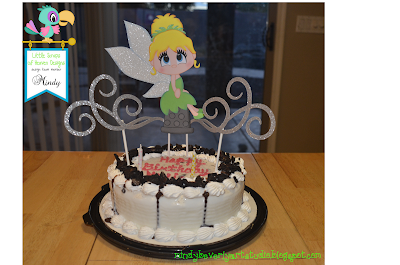 I just love how easy it was to create my custom cake! The possibilities really are endless! Thank you so much for stopping by! I hope that you have a wonderful day! To create this card first I layered the pattern in Design Space and grouped my image. Then I added some circles in various sizes and a layered banner to my virtual mat. Next I picked a font that has a writing style and attached my sentiment to the banner. I then layered all of my images into my desired positions and selected everything and duplicated it. Next I took the copy I just created and welded the image. After that I made another duplicate copy of my welded image and used the mirror image button to flip that image. Next I layered both welded pieces together and welded them a second time to create my shape card base. After that I attached a score line and then cut out all of my card pieces with my Explore. I then inked and chalked all of the little paper edges. Next I glued them all together and attached them to my shape card base. To finish I added all of the highlights with a white paint pen. I hope that you enjoy my card! Thank you so very much for stopping by, and have a wonderful evening! To make this card first I used a plain card base from the Cricut library and then sized a few rectangles to create the borders and frames. I also used a banner base from Design Space and used the write then cut feature to create the sentiment. Next I uploaded the pattern into Design Space and sized it to fit perfectly on my card base. Once my design was finalized I cut the pattern out with my Explore. I then inked all of the little paper edges with coordinating ink colors. Next I used my Prismacolor pastels and added shading around each paper piece with a pastel shading brush. I then assembled all of the paper pieces and attached them to my card base. To finish my card I added all of the highlights with a white paint pen. Thank you so much for stopping by! I hope that you have a wonderful day! 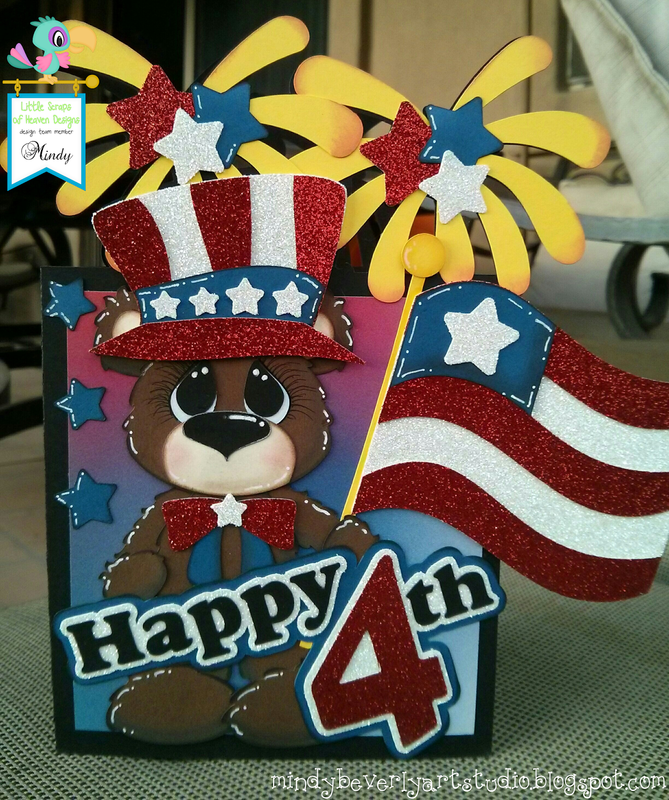 To make this card first I took the pattern and layered it in Design Space. I then took the image and overlapped it onto a square and welded the image together to create my shape card base. Next I attached the text to one of the strawberries so that I could have my Explore write and then cut the sentiment. Once my design was finalized I cut out all of the pattern pieces with my Explore. Next I inked all of the little paper edges and added additional shading with Artist chalk. I then assembled everything and attached it to my shape card base. To finish I added the highlights with a white paint pen. I just love how easy it is to make any image into a shape card! Thank you so very much for stopping by and have a wonderful evening! Good Evening! Tonight I want to share a card that I made with this weeks Freebie file from LSHD! 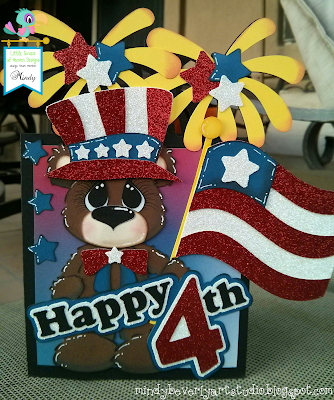 To create this card first I cut all of the pattern pieces from Glitter and Plain card stock with my Explore. I then inked all of the edges of the paper pieces with coordinating ink pads. Next I took Artist chalk and a blending tool and added shading to the insides of each paper piece to create even more depth. After that I glued all of the paper pieces together and then attached the finished pieces to the card base. To finish this card I then added the white highlights with a paint pen. I just love how versatile these freebie files are. Even if you don't have a cutting machine these patterns also come with a pdf version for hand cutting. 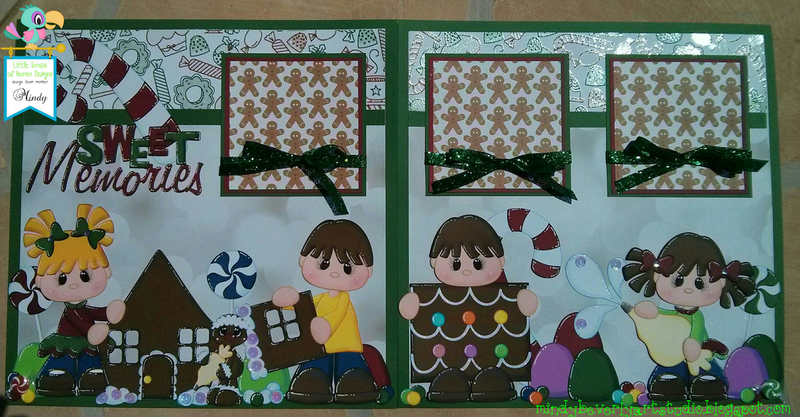 You could easily enlarge the pattern and use construction paper instead of card stock to make a Christmas card activity for kids! Thank you so much for stopping by! Have a wonderful day! For the banner base I used the tag pattern from the file and just flipped it upside down. I also took one of the stars and sliced it into the tag base in Design Space. I did this so that the banner base would have 2 stars located on opposite sides at the top so that I could string ribbon through them to hang the banner. 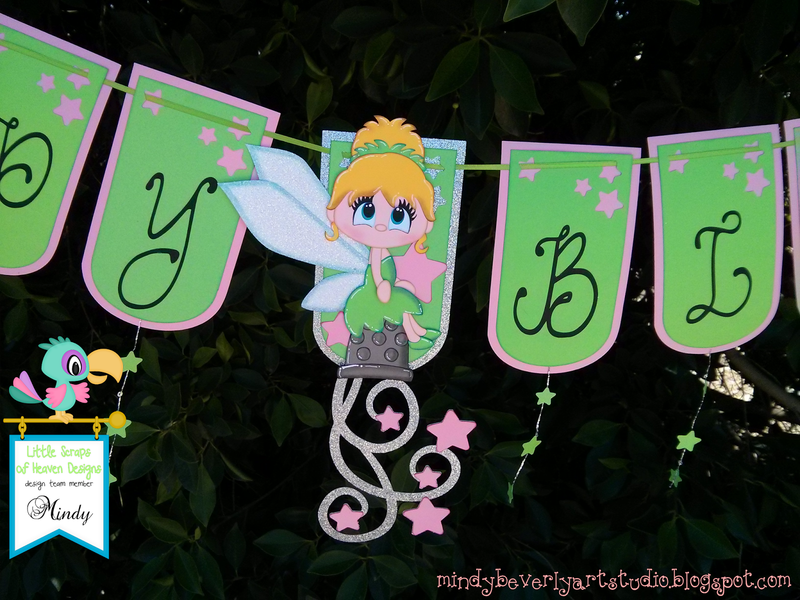 For the three glitter flourish banner pieces, I took a flourish from the pattern and then just welded it in Design Space to the banner base. The font that I used is a font I purchased from DJ Inkers. With Design Space you can actually cut all of your own system fonts. So once I purchased and downloaded the font to my computer, the font then was automatically available to use in Design Space. After finalizing my design, I then cut out all of the pieces in glitter and plain card stock. I then inked and chalked all of the edges. Next I assembled all of the pieces and attached them to my banner sections. 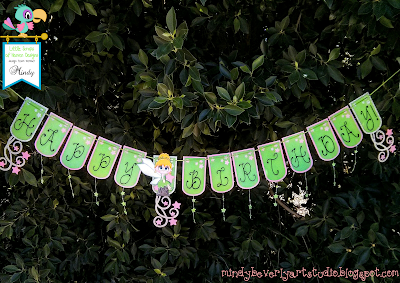 I then glued tiny green star cut outs from the banner bases to 3 inch pieces of shiny silver string and then attached them to the bottoms of the banner pieces. Lastly I threaded my green ribbon through the tops of the banner sections and then added all of the highlights with a white paint pen. I hope that you enjoyed my banner and thank you so very much for stopping by today! To create this card first layered my images in Design Space and then welded the images together to make the shape card base. For this card I ended up combining three different files to create the final image. I then cut out all of the pattern pieces with my Explore in glitter and plain card stock. Next I inked and chalked all of the paper edges to create more depth and dimension. After that I assembled all of the paper pieces and attached them to my card base. To finish I added the highlights with a white paint pen. I hope that you enjoyed my card! Have a wonderful day, and thanks for stopping by! To make this layout first I cut 2 strips of cloud patterned paper for the top border and 2 grass shaped pieces in a grass pattern for the bottom border. Next I attached them to my base pages and then added a lime green contrasting strip of paper across the top border. Then I cut my mats and frames for the pictures and layered them, wrapped a lime green ribbon around each one, and then attached them to the layout as well. After that I cut out all of the pattern pieces with my Explore. Next I inked all of the little paper edges and added shading with Artist Chalk. I then glued all of the pieces for each bear together and attached them to my layout. Lastly I added the highlights with a white paint pen and then added a little bow and flower sequin to the girl bears. Thank you so much for stopping by! Have a wonderful day! Hello Everyone! Today I wanted to share two journal pages that I created for an Art Swap! The rules of this Art Swap were to create a page using the first letter of your swap partners name for inspiration, and a second page using the first letter of your name. My partners name starts with a T so I decided to paint tropical flowers in watercolor and use torn Japanese Origami papers to accent the page. For the page based on my name, I wanted to paint my Iris because it is one of my favorite flowers. I also added Mehndi (traditional Indian Henna Designs.) around the Iris to represent my love of Bollywood dancing and Bollywood movies! 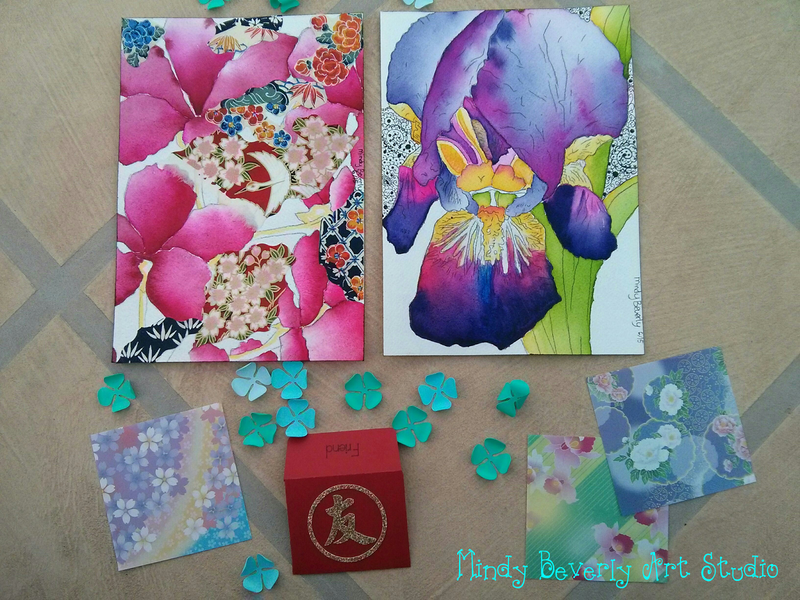 I also sent my partner a few extras including a Chinese red envelope I made with the symbol of friendship, a few sheets of Origami paper with matching floral designs, and a few floral embellishments that I created. Thanks for stopping by, and have a wonderful day! Good Morning Everyone! Today I wanted to share two of my most recent projects! (Both projects were created with patterns from LSHD.) My first project is a 4th of July Kid layout! For this layout I first cut my mats and frames out of various shades of card stock and patterned paper. 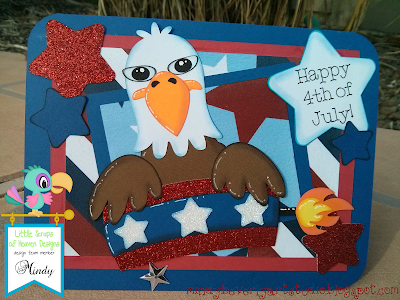 For the stars and stripes patterned paper I used a digital background file from LSHD and printed it onto plain white card stock to create my own custom paper that coordinated perfectly with my layout. 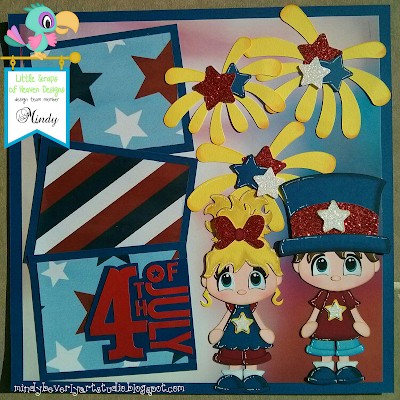 I then cut out the little kids and fireworks with my Explore from plain and glitter card stock. Next I inked and chalked all of the paper edges and then assembled them. Lastly I placed all of my elements on the page and attached them with foam tape. The next project I want to share is my 4th of July Eagle Card! Right now this little guy is the weekly freebie pattern over at Little Scraps of Heaven Designs! Be sure to pick him up if you don't have him already! For this little card I did the same thing as in my layout and printed my own patterned papers from the digital background file. I then cut out all of the little paper pieces just like before and inked and chalked all of the edges. 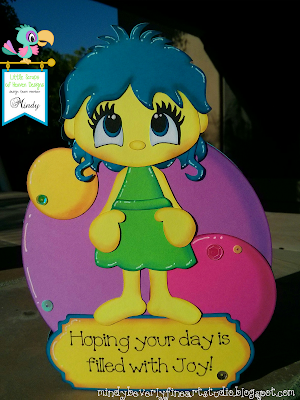 I also used the write then cut feature in Design Space to create the star sentiment. Next I assembled all of the paper pieces and then attached them to my card. Thanks so much for stopping by today! I hope that you enjoyed my projects!